Althea is now a year old! Hello there, first of all, I would like to once again wish Althea a HAPPY BIRTHDAY! I cant believe that you're finally one and I hope to see you grow bigger and bigger each year. Ever since you came into my life, you have made K-beauty more convenient for me to get without requiring me to travel. So that's why I'm sharing the joy of celebrating your birthday! Time really does fly man, and it still feels like yesterday that I'm sharing to the world with the butterfly project when you were born in Malaysia last year. Thank you, Althea, for having me at your birthday bash with other K-beauty fans to join you to celebrate such a big occasion. And if you missed it, fret not, cause I'm sharing to you on what activities we had on that day, and who knows, you might just be invited to their 2nd birthday bash next year. (keeping my fingers crossed on being invited again) hehe. The birthday was held in Ruang, located in Subang Jaya, where its a private space perfect for private occasions. Since it was my first time being at Ruang, I have to say that I love the interior of it and its amazing how Althea turned the space to have a bingsu corner, a photobooth, a selfie corner, a buffet table of sugary sweetness and a stage with over 50 people present in one location! I think what entertained me the most was to see the CEO of Althea, Frank, singing on stage. I don't think it was planned, but since everyone insisted, Frank was being a good sport to please Althea's birthday guest on that day. AND BELIEVE ME WHEN I SAY THAT HIS VOICE IS AMAZING! Haha, i swear I won't be surprised if Althea starts having an album sung by Frank. Lol. I'm thinking of those background music you see on youtube when you watch beauty tutorials. Who knows man, who knows. The craziest thing of all was that Althea actually surprised the guest with a shopping spree session where they gave us RM150 worth of points to spend on Althea.kr within 30 minutes! HORRAH! Althea was really sweet for giving RM150 worth of points to each guest. Despite being Althea's birthday, Althea actually made sure that everyone felt like it was their own birthday as well. It was hectic for the first 30 minutes, but of course, the 3G had to go a little haywire since everyone was using data, so they told us that we still had time to spend within the next 48 hours. Before the party ended, we had a little fun lucky draw activity. Its definitely not your usual lucky draw cause your lucky draw prizes are actually in the pink balloons that you picked. The prizes were all from Althea.kr and I was lucky enough to score myself the Aromatica Rose Absolute Serum Gift Box which happens to be one of the best prizes. So yay for having a lucky star in my pocket. hehe. At the official launch of the Bioré Double Scrub Facial Foam Range. Modern Men today are more conscious about personal grooming, appearance, and image (especially when it comes to impressing the ladies). Hehe. 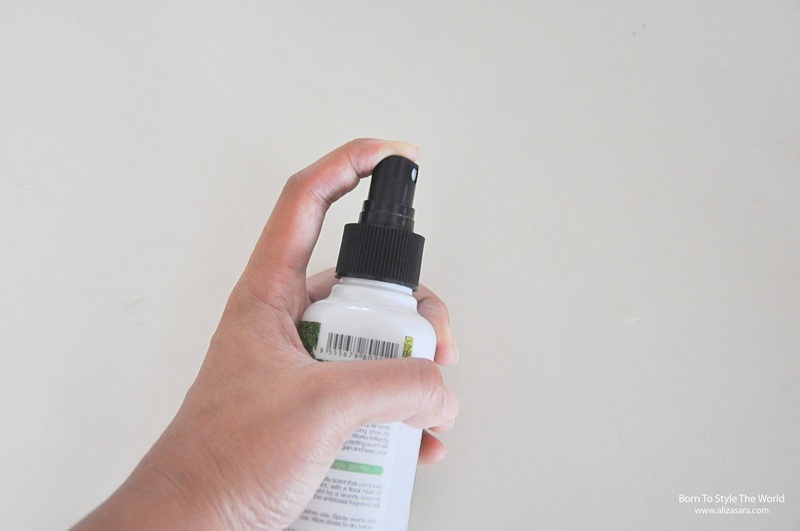 Leading a hectic lifestyle and constant exposure to polluted environment has been a challenge for men to maintain good skin condition especially when it comes to impurities and excess oil building up that can clog the pores which then eventually causes oily skin and frequent acne breakouts. Yikes! So this is where a facial scrub would be handy for you men from all around the world. Being the No. 1 Men's Facial Scrub brand in Malaysia, Men's Bioré is leading with innovation with the usage of the Advance Japan Million-scrub technology. They have done highly researched formulation which has Detox Power Cleansing and Oil Absorbing properties to target the root cause of various skin troubles. It also works effectively to provide healthy bright clean skin with zero oily feeling, leaving the skin feeling refreshed from inside out. President of Kao Malaysia, Mr Masaki Fujiwara was present to share a few words, "Mens Bioré is constantly working to develop innovative products to meet our customers needs. With its advance technology, we are introducing our first men's facial wash that provides Detox Power Cleansing. We are positive that our customers will be able to get visible improvement in their skin condition after each wash."
The entire Men's Bioré Double Scrub Facial Foam range is now available in a new refreshing contemporary look, which is specially designed to cater to the young, active, outdoorsy Malaysian men. It comes in five variants namely Deep Clean, Deep Clean Extra Cool, Oil Clear, Acne Solution and Bright Clean to cater to various skin concerns. And if you havent noticed, Kao has appointed actor Sharnaaz Ahmad as its new brand ambassador! It may be a little strange that im writing about skincare products for men. But to be honest, i was actually interested in knowing about men scrubs. Might as well get my research done for my future kids, and at least i'll be aware of what skincare to introduce them with when they're older. hehe. The newly improved Men's Bioré Double Scrub Facial Form helps to absorbs excessive oil from the surface of the skinn while removing blackheads and dullness while it also deeply cleanses by directly delivering active oil clearing and anti-bacterial agents deep into pores. The 50g sized facial cleansers are priced at RM8.60 and the 100g sized facial cleansers are priced at RM15.70. I think its fairly priced for something that guarantees you it does what it should. Its now available at all major retailers, pharmacies, hypermarkets and provision shops from August 2016 onwards. 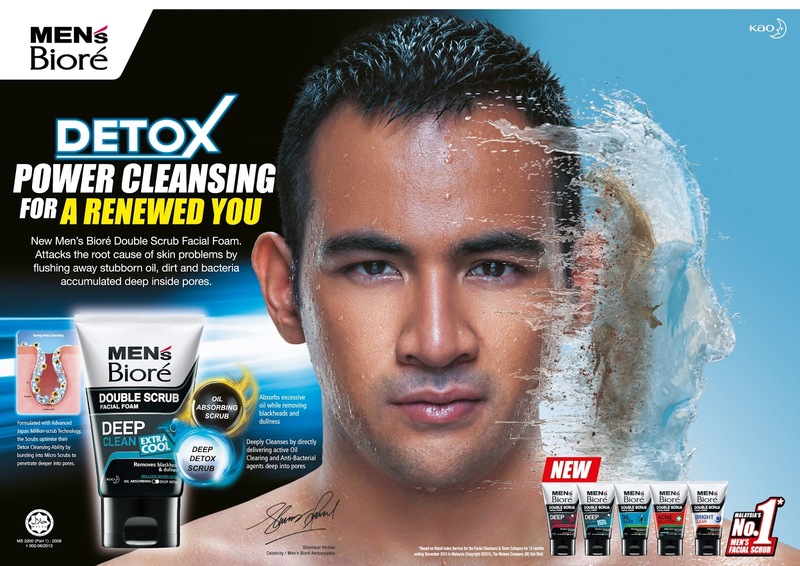 For more information on Men's Bioré products, visit www.kao.com/my/mensbiore or www.facebook.com/mensbioremalaysia. Happiness is naturally present in any individual, and it can be manifested into many emotional forms that can be expressed through words, gestures and action. To celebrate the mutual feeling of two love birds, SAFI Malaysia's no. 1 Halal brand in Malaysia is proud to release a new music video entitled Raniaku, a musical and visual collaboration between renowned homegrown singer Aizat Amdan and music video director En Nan Salleh. Being one of the biggest projects carried out by Safi since the range was introduced to consumers, Safi's team wants to deliver the message of feminine strength, highlighted through their beauty and how through love and affection can give great courage to face the challenges in life. With Safi Rania Gold, the music video features Nora danish as the lead characted in the music video where she plays the role of Rania, a woman and a wife who has been affected by a serious vision-related disease that affects her life and her role as a wife. Rania's sudden emotional and behavioral changes somehow was noticed by her husband, Azman (played by actor Remy Ishak). 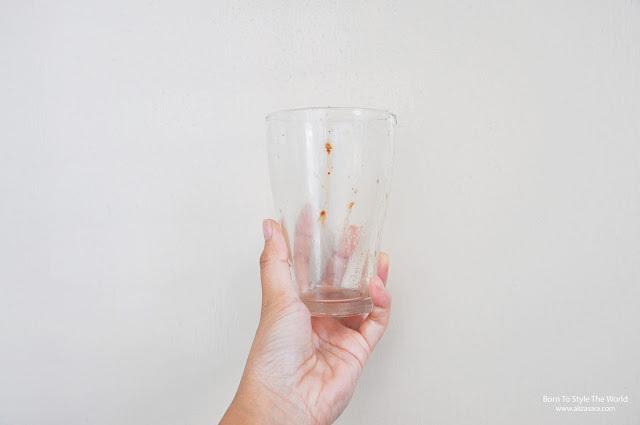 When she was urged to come clean, Rania told him about the disease that she is suffering from, and to revive the flame of confidence, Azman tells his wife that his love for her will never fade. He begins to help her with her chores and calms her to prove that he is truely committed in their relationship. Touched by her husbands sincere effort, Rania gathered her strength and undergoes eye surgery. A tale of romance is indeed beautiful to prove to viewers the power of love. The video was shot in Bali, Indonesia which was directed by En Nan Salleh, accompanied by Raniaku, a song sung by Aizat and music producer En Anas Amdan. Every word in the lyrics were beautifully woven together to convey a love story of two love birds overcoming challenges together. 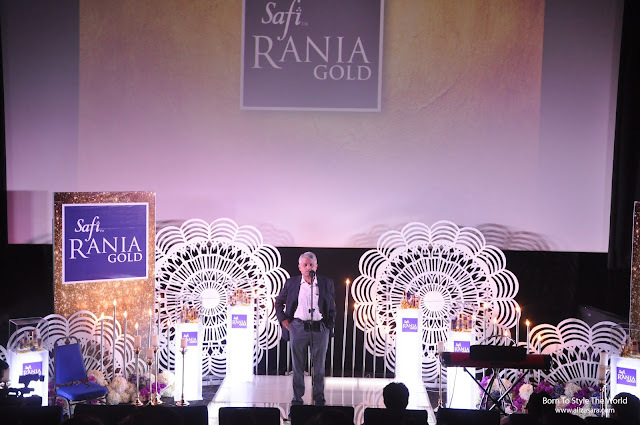 In conjunction with the launch of Raniaku music video, SAFI introduces a new product under the SAFI Rania Gold marquee that is enriched with DUO GOLD 24K formulation featuring 3 new skincare products, the SAFI Rania Gold youth essesnce, the SAFI Rania Gold Concentrated Serum and the SAFI Ranis Gold Booster and Toner Face Mist. SAFI Rania Gold ambassador Nora Danish shares her experience on using the latest innovation from Safi where she shares that the SAFI Rania Gold Golden Youth Essesnce with DUO GOLD 24k formulation softens the skins while keeping her make up intact. THE DUO GOLD 24k formulatin combines the efficacies of BIO GOLD 24k and HOLD Flakes 24K with Silk Protein. The formulation does not only help to retain the external structure of the skin but also the internal built of the facial skin so the youthfulness of the skin can be maintained effectively. These SAFI Rania Gold range of products are available nationwide at leading pharmacies, supermarkets and hypermarkets. For more information on SAFI, please visit SAFE Facebook page, www.facebook.com/SAFI.MY, SAFI Instagram page @safimalaysia and SAFI's Youtube channel at www.youtube.com/safimalaysia. A little background check on NU Sentral, it opened for business on the 29th of March 2014, offering 1.3 million sq. ft. of Gross Floor Area and 270 retails for lease within Kuala Lumpur's bustling transit and business hub. This access to this urban lifestyle haven is extremely convenient as it offers ample of parking while being in the most ideal location accessible by LRT, monorail and KTM Komuter rail systems. This exciting fashion event debut by NU Sentral promotes the fashion industry and to also boost tourism, encouraging fashion lovers to participate in its instagram (@nusentral) contest held from 20th July 2016 onwards. Fashionistas had the opportunity to win exclusive invites to the Launch night of NU Sentral Fashion Fiesta 2016 by posting their best favorite looks from #NUOOTD contest and lucky participants will also be featured on NU Sentral Instagram daily with mystery prizes which were up for grabs. Fashion enthusiasts and shoppers can look forward to fashion showcase by NU Sentral's resident brands such as UNIQLO, AZNUR, Butik Rimba, THECOSRY, KINSLAGER, Factoria, Posse, Puma, Rip Curl, The Executive, dc Tribe, Focus Point, Hush Puppies, Ice-watch, Multi.tude, PANDORA, Skechers, TimeKeeper, Tomei, Victoria's Secret, whatsBag and LOKA Malaysia. Established local designers such as Flora Hijab by Razak and Shazrene were also part of the showcase. The Official hair stylist for the NU Sentral Fashion Fiesta 2016 was done by Miko Galera and make-up expert, Sub International Beauty School who managed to create the trendy looks for each showcase while the models parade from Andrewsmodels on the fashion runway. Polish Nail also contributed as the official Nail sponsor, creating wonderful manicure for all the models present. NU Sentral Fashion Fiesta 2016 aims to bridge the gap between fashion labels and shoppers as NU Sentral will have various fashion exhibitions featuring installations from Tucz, Levi's, Dockers and more for the public to be inspired with. Visit http://www.nusentral.com for more information about NU Sentral Fashion Fiesta 2016. Hello there folks, today I'll be talking about products that are inspired by the enchanting rainforest that aims to give your home a one-of-its-kind lifestyle brand filled with purity, quality, and natural alternatives to enrich your home, body and well-being. 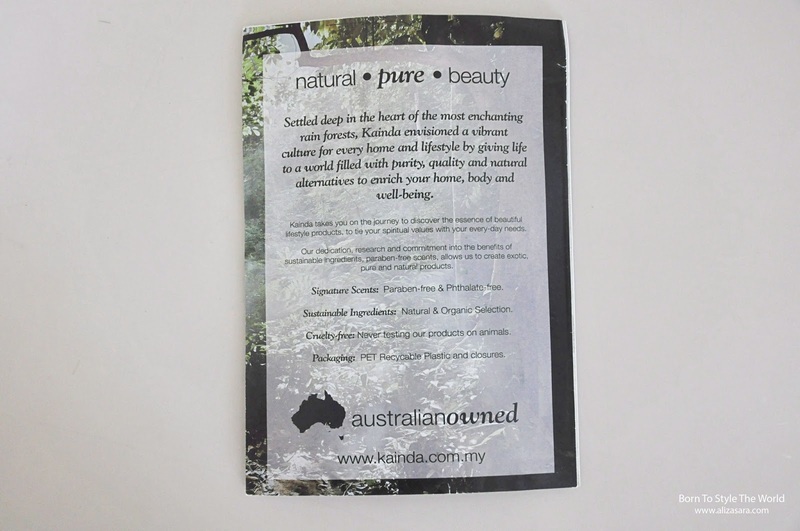 Presenting Kainda, an Australian owned product that features fabric care, skincare and household care within their collection. 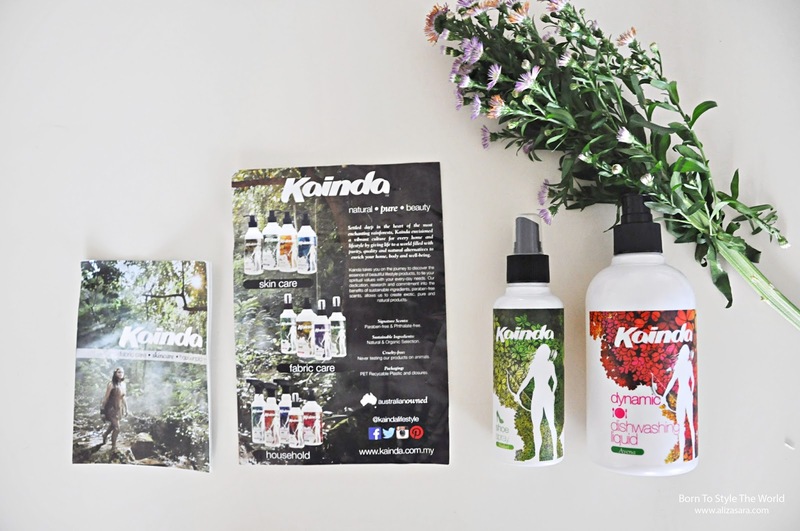 Kainda aims to take you to a journey to discover the essence of beautiful lifestyle products, to tie your spiritual values with your everyday needs. They have dedicated themselves to research and commitment to the benefits of sustainable ingredients and paraben-free scents, making it a one of kind product. It's also cruelty-free, so they have never tested their products on animal. YAY! 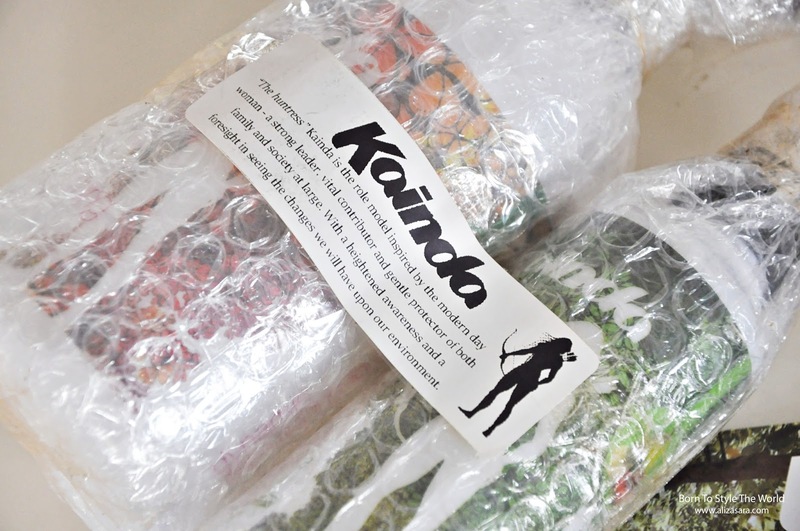 FYI, Kainda is a huntress inspired by the modern day woman. A strong leader, vital contributor and gentle protector of both family and society. So to begin with, i would like to thank Kainda for sending over the Kainda Shoe Spray (Nadari) and the Kainda Dynamic Dishwashing liquid (Avena) for review. I was rather excited when I received the parcel perfectly bubble wrapped to make sure that the parcel arrived safely, and it did! So thank you for the extra effort of wrapping it up for me. 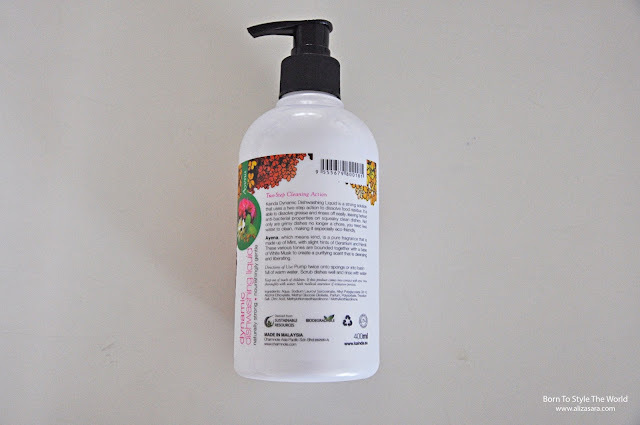 Just some comments on the packaging, being a brand that focuses on being sustainable, they use PET Recyclable and closures to be adapted to into the design of the packaging. I have to emphasize that I do admire that they use sustainable resources and biodegradable packaging which makes it environmentally friendly. 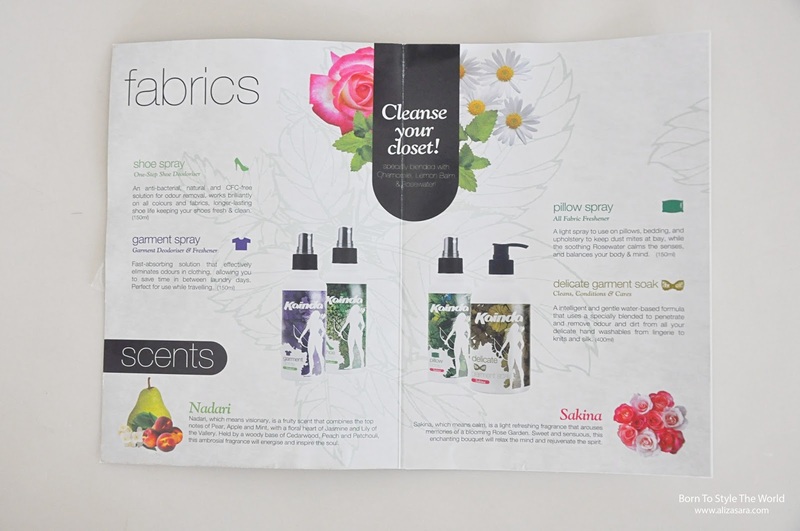 Within their Fabric Care Range, it features shoe spray, garment spray, pillow spray and delicate garment soak. 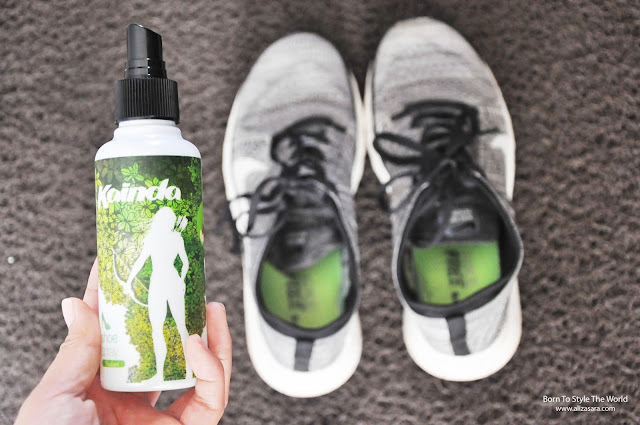 But for today, I'll be talking about their shoe spray which is a one-step shoe deodoriser. which comes in a 150ml spray bottle. 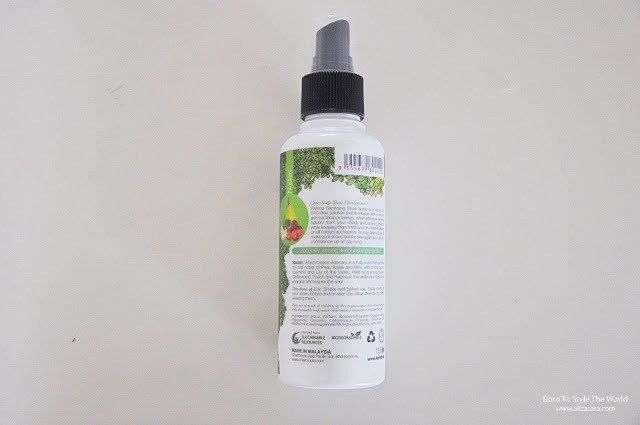 The Shoe Spray is anti-bacterial, natural and is CGC free solution for odour removal. It works brilliantly on all colors and fabrics so it's gently enough to not destroy any of your favorite pair of shoes. 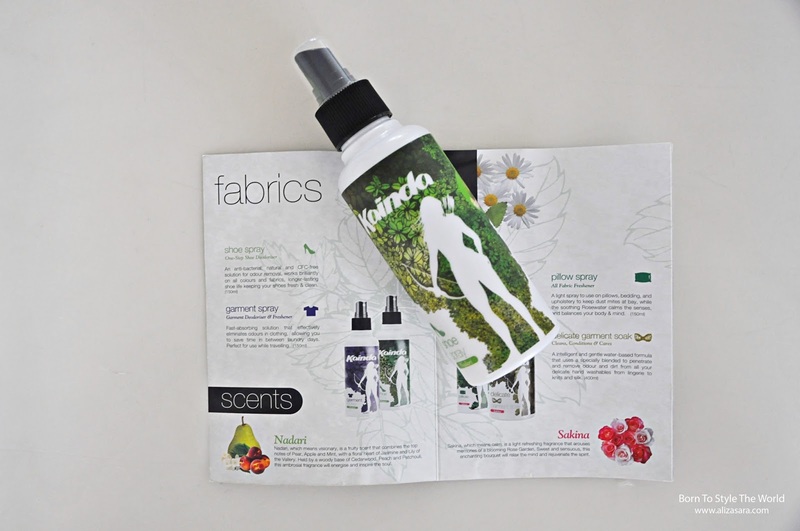 It's long lasting making sure that your shoes constantly smelling fresh and clean. Its super easy to use too! Spray and let it dry, and youre done! Since the packaging is made out of plastic, so it's really easy to use it. And since I love going for long jogs during the weekends, my favorite pairs of shoe would be smelling like stinky socks by now. Haha. But thankfully, I have the Kainda Shoe Spray in Nadari which features a fruity scent that combines the notes of Pear, Apple, and Mint with a floral heart of Jasmine and Lily of the Valley. 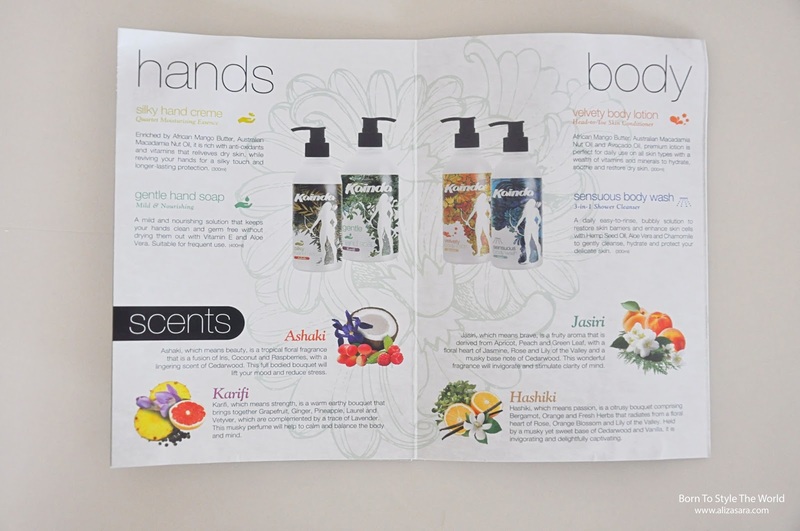 It has a woody base of Cedarwood, Peach and Patchouli which. You got to get a sniff of this, cause im loving the floral fruity scent. They also had a pretty wide selection of Household products too! 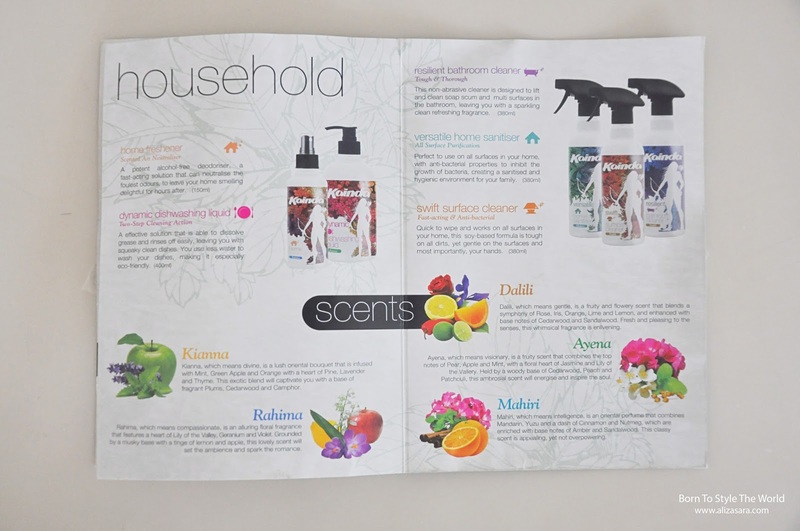 They had home fresheners, dynamic dishwashing liquid, resilient bathroom cleaner, home sanitizer and surface cleaner in a variety of amazing scents. But I'll be talking about their dynamic dishwashing liquid in Ayena, which comes in a 400ml pump bottle. 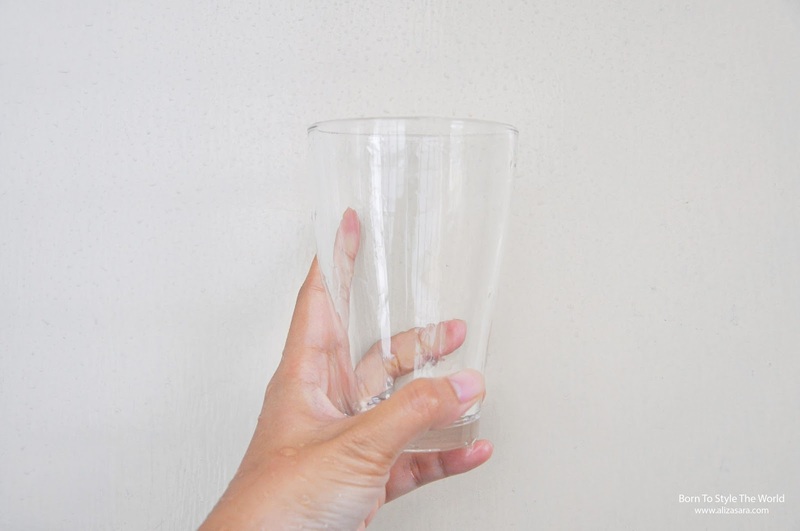 It has an effective solution that is able to dissolve grease and it also rinses off easily. 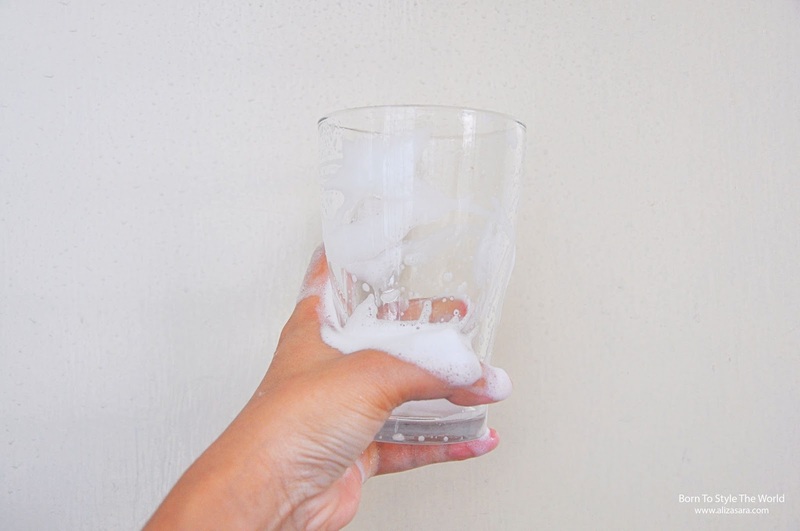 The formula is created to be washed off easily, thus needed less water to wash your dishes, making is eco-friendly. How cool is that? User Friendly & Eco Friendly! As a verdict, I would say that I'm buying the idea of it. I love how Kainda resembles a modern day woman who is independent, strong and she believes in protecting the future for legacy of the future generation. The products are pretty good, and its does what its suppose to do. Its also a plus point that it's environmentally friendly. SO YAY! Pricing may be slightly above the average, but for the quality and effort, they're putting, it's definitely worth it. They also have skin care products features, such as hand cream, hand lotion, body lotion and body wash. Its amazing how Kainda features so much variety, but as a woman, I think we all know how we can relate to that right? Sorry boys, but the ladies has always been born to multitask, cause we know how to make it work. HAHA. Well, that's about it for now. If you have any other inquiries about the product, do leave me a comment below and I would love to get back to you. For more information, head on over to http://www.kainda.com.my or https://www.facebook.com/KaindaLifestyle for more deets. Thanks for dropping by!